THE Stellarian religion is called The Religion of the Stars because astrology affords the best possible road map for guidance to the most effective and highest type of life. It not only gives the most reliable instructions as to what the individual’s religion should be, and what he should do to live his religion, but it also instructs him how best he can do the things which his religion indicates he should do. If astrology and other inner-plane conditions are so important in religion, and if knowledge of them when applied will increase the individual’s success, happiness, spirituality and freedom from illness 100%, why do so many academic intellects refuse to consider or investigate them? He implies, quite correctly, that the majority of people at present have, unconsciously, ideas on the subject of extrasensory perception and other inner-plane phenomena, which have so much energy that they exercise a censorship over the acceptance of any evidence, however conclusive, that inner-plane energies exist. He classes the attitude as phobia. And the phobia embraces any evidence of those inner-plane weather influences mapped by astrology. Just how to cure this phobia is one of the big problems now confronting Stellarians. With time, distance and gravitation on the inner plane having properties so radically different than they have on earth, should we expect inner-plane weather to operate according to the same laws weather operates on earth? Einstein’s Special Theory of Relativity carried to its logical conclusion indicates that inner-plane weather affects the individual, not merely according to his inner constitution, but through certain time-space relationships. These time-space relationships that indicate the inner-plane weather affecting the individual are measured by progressed aspects. Just how the inner-plane weather affects an individual, however, is not dependent upon any theory. For even as time, distance and gravitation properties on the inner plane have been determined experimentally by university scientists, so have the properties of inner-plane weather, and how it works to affect individuals, groups, cities, nations and world affairs been determined experimentally through statistical studies carried out in the process of astrological research. Wind, rain, heat, fog, snow, ice and cold do not exist on the inner plane, because these are all properties of physical substances made possible by their low velocities. Instead, on the inner plane, where velocities are too great to permit such physical properties, there are planetary energies the impact of which constitutes the weather of that realm. As there are ten planets, on the inner plane there are ten distinct kinds of weather, entering into endless harmonious and discordant combinations with each other according to the relative volume of each and the angle at which the planetary energies join. Observation indicates what people’s reaction to certain kinds of physical weather will be, and how their lives are apt to be affected by it. And observation also has taught how people react in thought and behavior to each typical kind of inner-plane weather, and what their thought cells reacting to each uses their psychokinetic power to bring into their lives. What occurs is not inevitable. But what will occur usually can be predicted with considerable certainty because it is the commonly observed reaction to the particular kind of inner-plane weather present. It may seem amazing that the inner-plane weather affecting one person at a given time may be quite different than the inner-plane weather affecting some other person working daily right alongside of him. But that it does so is a demonstrated fact. And it is no more amazing that the future can be perceived, than what an individual is doing on the opposite side of the world can be observed, or that physical objects can be moved by the nonphysical power of the mind. People dislike to believe they are the puppets of fate. And some oppose the dissemination of astrological knowledge on the ground that astrology implies fatality. It does imply fatality in the same sense that physical weather implies fatality. Other than to use particles of dry ice dropped through cumulus clouds to produce rain, man has made almost no progress up to the present time in determining what the weather shall be. The wind blows, the temperature falls, the temperature rises, it rains, hails or snows, and the fog drifts in from the ocean as determined not by man, but by Nature. Man at the present is unable to prevent the day from being cloudy or sunshiny. And in that sense physical weather is fatality. Neither can man, with his present knowledge, prevent the inner-plane weather being mapped by a progressed aspect in his chart involving Mercury, or Sun, or Moon, or Mars, or any of the other planets; nor can he determine whether the inner-plane weather so designated shall be fine or stormy. If the progressed aspect is harmonious the inner-plane weather will be fine; if the progressed aspect is discordant, the inner-plane weather will be disagreeable. Just what the inner-plane weather will be during a given period depends, not on anything he can do, but on the planets that form progressed aspects during the period, and what aspects they form. However, through calculating the progressed aspects ahead he can know with much greater precision than our physical weather forecasters can predict physical weather, precisely the kind of inner-plane weather a given individual will encounter in his life during any specific period of the future. Up to the present time man has been able to do almost nothing to regulate either the outer-plane weather or the inner-plane weather. But he has learned how to conduct himself so that he can prevent unfavorable physical weather causing him the damage it otherwise might, and how to conduct himself to take advantage of favorable physical weather. And he is learning—through knowledge of what to do under certain progressed aspects—how to conduct himself so that he can prevent unfavorable inner-plane weather causing him the damage it otherwise might, and how to conduct himself to take advantage of favorable inner-plane weather conditions. And it is just as important to him to know what to do under inner-plane weather conditions of a certain kind as it is for him to know what to do under physical weather conditions of a certain kind. What would happen to much of the population of these United States if people did not know that crops would not grow over vast areas during the cold months? Unaware that crops would cease then to grow, people would not store up food for these months of frozen soil. The grocer, failing to take proper precautionary actions, would have no food to sell, and a majority of the people would starve. What else would happen to much of the population of these United States if people did not know that over vast areas during the winter months it would be bitterly cold? They would not build cold-resisting homes, they would not lay in a supply of fuel. Many would freeze, and most would suffer. What would happen if farmers did not know what to do when favorable weather arrives? Instead of planting crops when they would grow to best advantage, and when they would be ready to harvest before frost, they would pass these opportunities by and fail to gain food that otherwise they might have raised. If man took no precautionary action against the physical weather he would not build a home in which to live, nor produce clothing to keep from his body the cold, the wind and the rain. And without knowledge of inner-plane weather, and what it is likely to bring, the individual is as helpless to prevent disaster and to take advantage of favorable conditions as is the individual equally ignorant of what physical weather is likely to bring, and what he should do under certain physical weather conditions. The individual aware of the functions played by extrasensory perception and psychokinesis, who is conversant with his birth chart—which maps his own inner-plane thought-cell organization—who is conversant with the inner-plane weather conditions mapped by progressed aspects in his chart, and who takes the precautionary actions advocated for these weather conditions before they arrive and during the time they are present, doubles his usefulness to himself, and doubles his usefulness to society. He can double the chance of remaining in good health, he can double his happiness, and if he so desires he can double his spirituality. The individual who is wise will thus strive not only to benefit himself, but also to render greater usefulness to society. For by so doing, in addition to the satisfaction such spiritual activities bring, he will insure his further development after life on earth is done, which if continued will lead to Self-Conscious Immortality. All should learn the lesson taught by early life on earth: for a better life there should be division of labor and specialization of parts. When protozoa cells joined to form a united cooperative colony, as explained in Chapter 3 (Serial Lesson 127), Course XII-I, Natural Alchemy: Evolution of Life, they gained a distinct advantage. And when there was further specializing of parts and further division of labor, as in the vertebrates, other tremendous advantages were acquired. Thus also in the universal scheme of things, as explained in Chapter 1 (Serial Lesson 151), Course XIV, Occultism Applied, there is a cosmic organization. All the information at present available indicates that the universe is an organic whole depending for its progress upon the cooperation of its intelligent parts. If it will make sufficient effort to find it, each soul has its own important work to carry out in this universal organization. And those that do thus contribute their share to the progress of the whole become immortal. University experiments in telepathy now show that the minds of people are not insulated from each other. They are no more insulated than the various experiences and conceptions which constitute the mind of an individual are insulated from each other. And under suitable conditions for the Law of Association to operate, what one person thinks enters the consciousness of other persons as readily as under the same Law of Association what you think may recall some incident of your life that happened ten years ago. But while your mind contains innumerable thought cells and structures, each under the Law of Association capable of communicating its states of consciousness to any others, all are, or should be, under the guidance of the overall authority which is you. The organization as a whole has a purpose. All the various factors which enter into the organization should, irrespective of their individual desires, cooperate in realizing the objective you have set for yourself. Thus also should we, to the best of our intelligence and ability, cooperate with other souls in assisting to realize the purpose of the universal overall authority which we think of as Deity. Each ego, or spirit, is a spark or emanation from Deity, and thus has the potential of developing and exercising deific powers. And each soul is a cell of consciousness within the universal consciousness, capable of extending itself to partake of the thoughts and feelings not only of other souls and groups, but in some measure on the vibratory level to which its aspirations raise it, to partake of the all-pervading intelligence and power of Deity. The way the universe is observed to be managed, the function of pleasure and pain in evolving ability, the fact that there is a universal law for all souls—embracing those that as yet are able to find expression only through a single protoplasmic cell, those that express through various plants, and those that have evolved enough to be able to function through man—and why the universal moral code reads, CONTRIBUTE YOUR UTMOST TO UNIVERSAL WELFARE, are set forth in detail in Course XIX, Organic Alchemy. Let us, therefore, instead of dwelling on the universal laws explained in Course XIX, Organic Alchemy, recapitulate some of the steps taken in the evolution of life as set forth in the first seven chapters of this course, and observe how each step toward greater ability to perform a valuable function in the cosmic scheme of things has been a step also in the direction of greater freedom. As indicated in previous lessons the soul is impelled to undertake its journey through the Cycle of Necessity in response to the Drive for Significance. This drive for significance which actuates all life forms can find satisfaction only through expression. Through psychokinesis the soul attaches itself to one life form after another, seeking more and more ample expression through developing, as the result of experience, the ability to manifest through successively more complex forms of life. Thus to continue to express itself it must provide nutrition for the form it occupies. And to provide means by which other souls can find expression, it must reproduce its organism. Thus from the primary drive for significance are derived the other two irrepressible drives, the Nutritive Drive and the Reproductive Drive. Every life form is actuated by, and seeks to express, these three irrepressible drives. They are the motivation of every step in evolution. All three are prompted by, and seek satisfaction of, the desire for more and more complete expression. In human life we strive, and rightly, for freedom from want. To the extent we attain it are we able to satisfy the nutritive drive; for we are then able to obtain food, shelter and clothing. We not only thus can provide for the continuance of our own life, but can provide for the necessary sustenance and maintenance of children, and in this way assist the reproductive drive to find satisfaction. And through the various gadgets, conveniences and luxuries freedom from want provides, we can find greater freedom of expression. The nutritive drive, which is the drive for continued expression, does not find satisfaction solely in food. It seeks all means by which the organism can continue and keep healthy, including safety from in animate things and from enemies. From the very first appearance of life on earth, therefore, we find each species not only seeking food and reproduction, but also seeking freedom from fear. In religion man seeks to find guidance as to the type of expression while still on earth that will enable him to find satisfaction, and at the same time will insure that he will continue to find satisfactory expression after life on earth is done. He seeks freedom of religion because he wishes the liberty to decide what is best for him on earth, and best to insure continued satisfactory expression after the dissolution of the physical. Thus in religion he is merely trying to find satisfaction for the same drives which are the motive force of every life form on earth. All are seeking freedom from want, freedom from fear and freedom of expression. And the whole process of evolution is merely one step after another toward attaining in greater measure these three freedoms. Freedom of religion merely gives each person the opportunity to find for himself the best means for continuing these three freedoms after he has discarded his physical body. Back at the commencement of life on earth, some 1,750 million years ago, there were iron secreting and sulphur secreting bacteria. They lived on inorganic material. They continue to live in great number to this day. They had a food supply and they had an adequate method of reproduction. But their field of expression was narrowly restricted. Some of them with the drive for significance unusually strong struggled for more freedom of expression, and as a result of using their psychokinetic power both single-celled plants and single-celled animals came into existence. Both these primitive algae and primitive protozoa had a good food supply and multiplied by cell division. But some of them felt the need for greater freedom from fear. By developing colonial life, in which there was specialization of parts and division of labor, they could, and did, provide for more adequate nutrition and more adequate reproduction. But in addition to moving thus toward freedom from want, they also moved in the direction of freedom from fear; for the cells in the plant walls, and the cells surrounding the animal, provided for protection from enemies and environmental inclemencies. Some plants, in their effort to secure freedom from want, moved from the water, in which previously all life had lived, onto the land. There they found a more adequate food supply. But thus to maintain themselves they had to develop roots. Driven by this desire to have freedom from fear, they brought their psychokinetic power into play and not only developed roots, but also stalks which would support them and protect them from the weather. To insure that the reproductive drive might find more adequate satisfaction, the plants first developed spores, and later, so that their young might be nourished during the immature stage of life, they developed seeds. Striving for freedom from want for their young they devised innumerable cunning ways for the widespread distribution of their seeds. Also for means by which the seeds might be covered with soil and thus assisted to start their growth. Here in California, for instance, one of the best wild forage plants is filaree, a member of the geranium family. It provides its seeds on one end with a gimlet-like point, and on the other with a long filamentous tail. When the seed dries, during the long season devoid of rain, this tail winds into a spiral resembling an auger, near the end away from the auger point making an abrupt right angle with the general direction of the spiral. This provides a lever with which to gain a purchase against the stem of grass or other vegetation close at hand. The spiral catches in their hair or fur of any passing animal, which thus carries the seed to some distant point where it is knocked or scratched off. In this distribution it is not more clever than the cockle bur or the dandelion. The cockle bur also depends on animals to carry its young to distant parts; and the dandelion provides its young with parachutes so that the wind will waft them over a wide terrain. But the filaree seed has an additional advantage. When the rain comes and softens the soil, in response to the moisture its spiral tail determinedly unwinds. The brace, the right-angled arm of the seed tail, by catching against a blade of grass or other vegetation, is prevented from following the unwinding spiral. Therefore, this unwinding, with the upper tail held stationary, gimlet-fashion, screws the seed point down into the moist soil. The filaree seeds not only are distributed widely—they have thus spread all over the California mountains—but they are effectively planted beneath the surface of the soil. To insure reproduction, plants have made use of insects and devised numerous ingenious methods to make pollination certain. We might survey each phylum of animal life from I to XII, and observe that each higher step taken has been in response to the desire for freedom from want, freedom from fear, or freedom of expression. And in Phylum XII, the Chordata, there are numerous examples in which, guided by extrasensory perception, psychokinetic power was brought into play to adapt either the form or the habits to enable the vertebrate creature to move nearer one or more of these three freedoms. Fish developed strong powers of locomotion that they might leave the sea and move up swift streams where life was not so crowded, the competition for food was less severe, and their dangerous enemies of the ocean could not follow. When the ponds for a portion of the year dried up in which mud fish lived, they sought freedom from fear by developing their swimming bladder into a sac with which they could breathe air. And in time, in response to this desire to survive, which gives rise to fear, amphibians came into being. Amphibians had to lay their eggs in water, and their young had to undergo the tadpole stage in the water, before being transformed into land inhabiting animals. But when the ponds dried up for the whole year round, and a desert-like condition took their place, amphibians no longer could lay their eggs in the water. But the soul striving for expression did not cease to struggle for survival and the perpetuation of its physical form. Thus bringing psychokinesis into play, no doubt under favorable inner-plane weather conditions, amphibians learned to lay eggs in which the young could develop to sufficient maturity that as soon as they were hatched they could forage for themselves. When the cold shut down, in their determination to continue to find adequate expression for souls yet to be born, extrasensory perception, favored by astrological weather, guided psychokinesis into changing the reptile scales into fur and feathers. And it guided the development of the nesting habits of birds, and the development of a placenta and mammary glands in mammals. In their desire to have freedom from want, freedom from fear, and freedom of expression, animals also developed intelligence, until in the form of man this intelligence became self consciousness, the power to use abstract symbols in thinking, and the ability to form judgments based on logic. Man, no less than every lower form of life which preceded him on earth, is driven by the desire for freedom from want, freedom from fear, and freedom of expression. And he has found innumerable ways in which, through the use of the knowledge he has acquired, he can forward these freedoms. His agricultural knowledge assists him in his effort to gain freedom from want. His knowledge of obstetrics and the infections to which babies are subject, assists him in his effort to continue his race so that other souls can attach themselves psychokinetically to the ovum at the time of fertilization, and undergo the experience of developing and functioning through a human form. The automobile and the airplane have freed him from the old limitations which hindered travel. Books enable him to acquire more knowledge with which to combat the limitations still imposed by physical environment. This writer does not assume to know to what extent private enterprise should manage economic affairs and how much should be turned over to the government. That must still be decided, not by arguing about some theory, but by actual experiment. But the criterion on which the success of such experiment should be based is clear. It is the criterion by which we judge whether or not a life form is a forward step in evolution. It is whether or not the method employed really adds to its three freedoms. And with the advent of man, freedom to decide the best means for continuing the other three freedoms in a future life—freedom of religion—is equally important. But in human society we must not consider the freedom of one individual as of more importance than the freedom of another. Each should be permitted as much of the four freedoms as it is possible for him to have without restricting the similar freedoms of others. Nor must one freedom, such as freedom from want, take precedence over another. Freedom of expression, for instance, is quite as important as freedom from want. Survival—freedom from want and freedom from fear—is not an end in itself. It is a means by which the soul gains experience. And to make that experience worth anything, as this brief survey of evolution indicates, there must be freedom of expression. But in our society the freedom of expression of some must not limit the freedom of expression of others. To the extent they further the four freedoms for all, in a manner that limits the four freedoms of none, should the success of private enterprise and government ownership be judged. 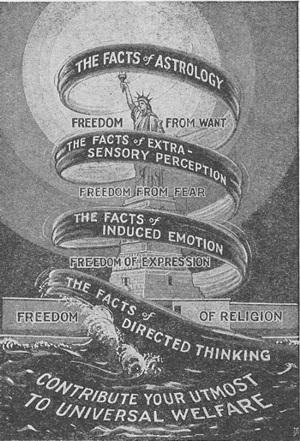 With the techniques of their voluntary use properly developed, in the future both extrasensory perception and psychokinesis will tremendously advance man’s progress toward the four freedoms. But at that time, because he should use it to guide him in their use, even as today, there will be nothing that will advance the individual or the race toward gaining the four freedoms in full measure as effectively as the knowledge, and the application of that knowledge, of the inner-plane weather conditions mapped by astrology. From the standpoint of religion, nothing is more important than the development of character. The standards of morality differ with different religions, but all hold that certain actions are moral and that other actions are immoral. Thus, even as preceding each development in the evolution of life on earth, a problem is presented that needs solution. The problem in this instance is how the individual, and his offspring, shall not merely believe in a certain moral code, but can adapt their lives fully and successfully to the moral code in which they believe. Merely a desire to adapt the life fully to the specific moral code is not sufficient to enable him to do it. No more than merely the expressed desire of an alcoholic is sufficient to make him consistently a sober citizen. To accomplish such adaptation the individual must know how to go about it to overcome tendencies which commonly defeat his intentions. Within the unconscious of every individual there are thought-cell groups of great energy which, unless they are deliberately and intelligently reconditioned, will cause him to act in a manner that is the very opposite of his more considered conscious desires. These difficult to control trends of character, whatever they may be, are mapped in the chart of birth, along with the more desirable and morally acceptable trends. The individual is not born until the inner-plane weather is such as to indicate by the power, harmony and discords of the planets mapping them, the chief character trends, and the natural aptitudes of the one then born. Not that these trends—trends toward certain types of behavior, trends toward events of a particular kind—inevitably develop into the actions, abilities, diseases and events thus indicated. But unless such trends are perceived before they develop into the indicated factors, and proper precautionary actions are taken, they usually do in time thus externalize. In the training of children, including the development of desirable moral attributes, it is a great advantage for parents to know just what each child’s weaknesses are. If the child’s chart shows a predisposition toward being dishonest, the parent can start in early to apply the factors which are most suited to condition the child toward being honest. If the child’s chart shows a predisposition toward trying to dominate others, or toward ungovernable and dangerous fits of anger, the parents can start early, and with much better assurance of success, to apply the psychology which will overcome these weaknesses. Few people live up to the standards of morality they have set for themselves. Within the unconscious of each individual are stored trends which are derived from the soul’s experiences before human birth. Psychoanalysis reveals that within the lower strata of the human mind lie primitive thoughts such as are common to the savage, and impulses that are common to lower forms of life. These primitive thoughts and animal impulses often have so much energy that an adult trying to the best of his ability to live a moral life—in spite of every effort on the part of his objective self—at times finds they take control of him and drive him to actions he later regrets. Astrology not only reveals these primitive impulses, but it also indicates the best method the individual can employ to recondition them so that, instead of periodically conducting himself in a manner that later hurts his conscience, he can at all times act in the manner which his religion dictates. Astrology indicates just where and how induced emotion and directed thinking should be applied to enable the individual best to live the kind of life he has decided upon. Under certain kinds of inner-plane weather the individual has both a stronger impulse, and unusual opportunity, to conduct himself contrary to his religious convictions. But a knowledge of progressed aspects, and the precise kind of inner-plane weather each brings, and what temptations are apt to be present during each period thus indicated, enables the individual to take specific and unusual precautionary actions to prevent himself from violating the moral principles in which he believes during any inner-plane weather thus foreshown. 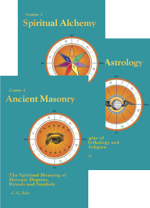 Anyone who will become conversant with his birth chart and the time and significance of each set of progressed aspects, and who will strive energetically to apply this knowledge, can insure his morality, double his spirituality, and thus in a personal sense attain a high degree of religious freedom. A great amount of energy is lost through people entering some vocation for which they are unqualified either because they lack the particular kind of ability needed, or because in it they attract unusual misfortune. For the individual to have freedom from want, he should engage in the kind of enterprise in which he can make a success. And for the world to have freedom from want, its citizens should not dissipate their energies following occupations for which they arc not qualified. The birth chart of a child does not show his abilities. Abilities must be developed through experience. But it does show the child’s natural aptitudes, which are stored up experiences from his life previous to birth in human form. And, which in selecting a vocation is equally important, it shows his predisposition toward fortune or misfortune amid the conditions commonly encountered in following each vocation. As it is a loss both to the individual and to the world for an individual to spend time and energy training for some occupation for which he has no talent, and which he either never follows or fails if he does, the earlier in life a child can begin to train his special aptitudes into definite abilities the better. And as from a chart of birth the natural aptitudes and the tendency to fortune and misfortune amid different surroundings can be ascertained, there need be no loss of time and energy in the training of a child; for in addition to his general education, his training may start at a very early age to channel the development of his natural aptitudes. Astrological vocational guidance, however, is not confined to children. Adults often need to select a vocation, or to change from one vocation to another due to circumstances over which they have no control In thus selecting the vocation to follow, the individual should always take into consideration supply and demand and other current physical conditions. But within the limits indicated by these, he can select the vocation, or business, in which he will be most successful, by combining his abilities—for some natural aptitudes need a high degree of training to develop them to a point where they can be used in following some technical or professional vocation—with the predispositions for fortune or misfortune within the environmental conditions of the various vocations which require the special abilities he possesses. His birth chart indicates the natural aptitudes which can most readily be developed into abilities. And in following the vocation, profession, or business, if he will take the trouble, through calculating his progressed aspects, to know just what inner-plane weather is ahead, and when it will arrive, and in view of the weather to be encountered will take the proper precautionary actions before and after it arrives, he will make a far greater success than if he neglects such inner-plane weather conditions. When an individual constructively employs the abilities developed from his natural aptitudes he finds greatest satisfaction in expression. And as following such astrological guidance he can best acquire worldly possessions, he furthers in marked degree not only freedom from want but also freedom of expression. Not only does ill health prevent many people from keeping continuously employed, depriving them through the expense of medical care of other things they need or desire, but disease gives rise to fear. 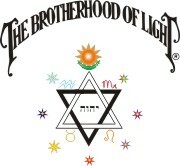 The Church of Light through the statistical analysis of the charts of numerous people who have had the disease, has determined the birth chart positions and aspects for a great many diseases. Not all people who have these birth chart constants of a given disease develop the disease; but only those who have its constants ever develop it. Thus the birth chart constants of a disease indicate, not that a person will have it, but that there is a predisposition toward it. The Church of Light through the statistical analysis of the progressed aspects in these charts at the time a given disease develops also has determined the progressed constants that are invariably present at the time the disease develops. These progressed constants of the disease, mapping the inner-plane weather always present at the time it develops, do not indicate that the individual will of necessity encounter the disease during the period thus mapped. But they do indicate that the inner-plane weather at that time favors it, and that there is danger of it then developing. The birth chart and progressed constants of 160 different diseases are set forth in Course XVI, Stellar Healing, and further studies of them are published from time to time in C. of L. Astrological Reports. Course XVI, Stellar Healing, also indicates the precautionary measures that should be taken when the predisposition toward a disease indicated by the birth chart is given activity by the progressed constants of the disease. 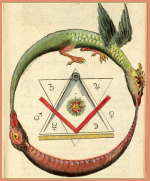 Relative to diet factors which in general are precautionary actions to prevent disease, these are set forth in Chapter 3 (Serial Lesson 153), Course XIV, Occultism Applied, and Chapter 6 (Serial Lesson 221), Course XXI, Personal Alchemy. But the specific diet most suited as a precautionary action against the disease tendencies stimulated by the inner-plane weather mapped by an adverse aspect involving each of the ten different planets is given in Chapters 7 through 10 (Serial Lessons 222-225), Course XXI, Personal Alchemy. In the prevention and cure of disease inner-plane diet is fully as important as outer-plane diet. Thought and emotion are the two factors of inner-plane diet. Wisely chosen, they condition the thought cells to resist and deflect adverse inner-plane weather which otherwise would cause these thought cells to use their psychokinetic power to develop the disease indicated by the birth chart and progressed constants. Good health tends to greater efficiency and to banish the fear of disease, therefore where health is concerned knowledge of astrology and following its guidance markedly furthers progress toward freedom from want and freedom from fear. The predisposition toward the events which are likely to occur affecting each of the twelve departments of life are mapped in the birth chart. 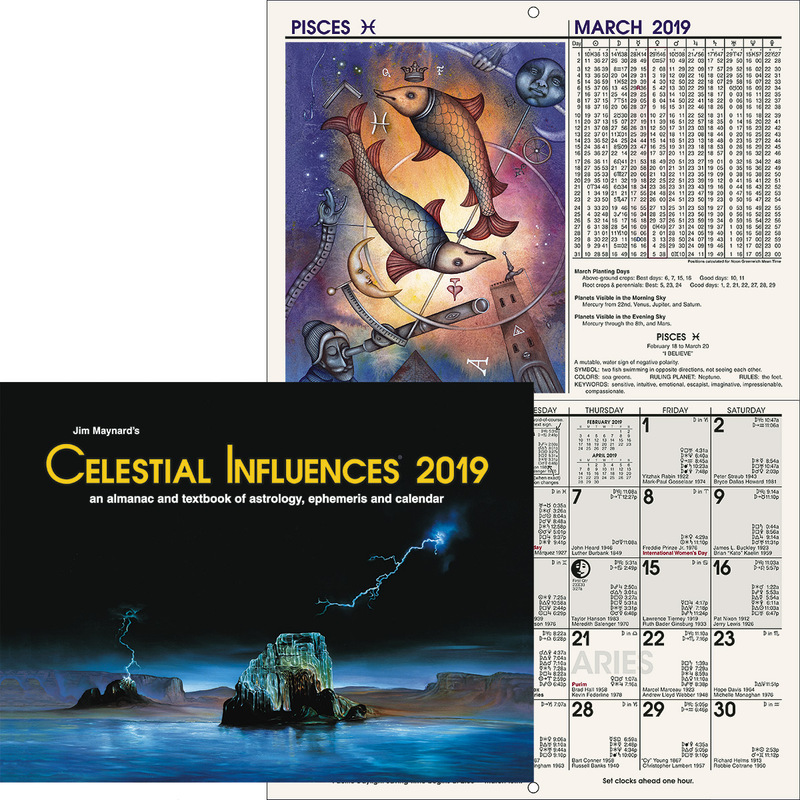 Such events have their birth chart and progressed constants, those for 20 different events being set forth in the reference book, When and What Events Will Happen. These events, however, are not inevitable. By knowing there is a predisposition in their direction the environment may be selected which will favor those fortunate and hinder those unfortunate, and thus markedly improve the fortune. An event of importance only occurs when the progressed aspects which are its constants are within one degree of perfect. The general type of event is indicated by the planets involved in the progressed aspect, and the departments of life that will be influenced are indicated by the houses ruled by these planets. 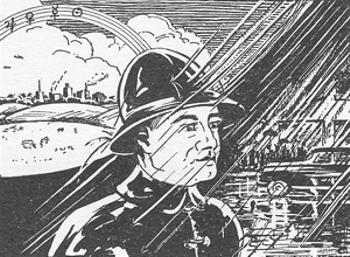 With knowledge of how the inner-plane weather during a given period is apt to cause the thought cells thus given new energy to use their psychokinetic power, and the type and departments of life apt thus to be influenced by an event, the individual is in a position to use precautionary actions to take the utmost advantage of favorable inner-plane weather conditions, and to forestall and avoid the influence of adverse inner-plane weather conditions. As through giving him knowledge of just the precautionary actions to take to improve the events which occur in his life relative to each of its 12 departments, astrological guidance can improve the fortune of all departments of life, it thus can con tribute markedly to freedom from want, freedom from fear, freedom of expression and freedom of religion. Outer-plane weather conditions are pronouncedly influenced by inner-plane weather conditions. For long range weather prediction astrology is many times more accurate than the weather bureau. What the season will hold of outer-plane weather conditions is important in many ways. This knowledge is especially important for those who plant and harvest crops. If there is going to be a late cold spring, certain crops should be planted later. If there are going to be floods, it is wiser not to plant ground which is apt to be inundated. If there is going to be a wet fall, it may be advisable to start harvesting earlier than usual, so that it may be finished before the wet sets in. If there is going to be an early freeze, certain fruit should be picked before it is damaged by the cold. Astrological weather predicting also is valuable in other matters. It enables the individual to pick a day for a picnic, or for some other venture when the weather will be favorable for it. If there are to be heavy storms during a given period, it benefits various groups to know this ahead of time, and to make proper preparations. Through indicating what the physical weather will be during various periods, astrological guidance contributes to freedom from want and freedom from fear. The inner-plane weather affects not only individuals, but various groups of people. Progressed aspects made in the charts of the birth of corporations, cities, and nations give a good picture of what the attitude of the group will be during the period covered by the progressed aspects, how they will react to proposals made by other groups, and what fortune or misfortune they are likely to have in the various departments of their lives. The biggest problem facing humanity as a whole is how to get the various groups of people, and the various nations, to cooperate for the advancement of all and the avoidance of war. Astrology cannot solve this problem, but it can give guidance as to the best way it can be solved. It indicates by the progressed aspects of a country, for instance, the best approach to win its approval of some plan for cooperation. And it indicates by the progressed aspects in the charts of the leader of the country the best time to approach him for such cooperation. When the birth chart of a group is known, it gives a better understanding of the aims, motives and methods of the group. And the progressed aspects in the chart of the group warn of its aggressive action before that action is taken, and even before it is contemplated by the group. Astrology through giving better understanding of people makes it easier for nations to get along harmoniously. Thus through its guidance both freedom from want and freedom from fear may markedly be forwarded. Evolution is observed to be moving constantly in the direction of greater freedom; and where man is concerned it is the greatest of all aids in attaining freedom from want, freedom from fear, freedom of expression and freedom of religion. But are such freedoms the will of God? 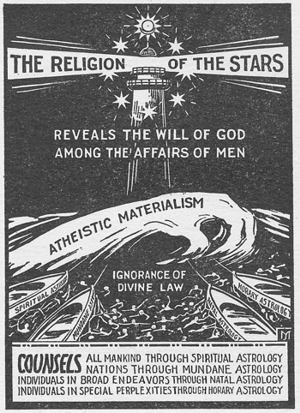 The Stellarian religion holds that instead of relying on the opinions of people of the past who were wrong about much of the phenomena of the material universe, man should rely on his own observation of nature to determine the will of God. The universe is the expression of the all-pervading Super-Intelligence. And even as we judge a man’s character and what he wants by his actions, and not by some ignorant person’s opinion based on no knowledge of his actions, so it is logical not to judge the character of God, and what He wants by the ignorant opinion of someone who knows nothing of His actions, but to judge what God wants by His actions. Those actions are observed to be the evolution of life toward the four freedoms, broadly guided by astrological energies climaxing on earth in that microcosm we call man. And toward a perfection of intelligence and love that enables the evolution to be carried on indefinitely in the realms of after-death life. Toward also immortality, and the development of an effective workman with special talents, capable and willing to assist God to realize, throughout immeasurable vistas of the future, His Great Program of Eternal Progression.